I have had several friends have issues with this. Cesar Milan mentions some great tips below on how to keep your baby safe. Our dogs are very in tune with us, so with an event as monumental as a pregnancy, your dog has already sensed that something is up. But just because she has picked up on the new feelings hanging in the air, doesn’t mean that she understands what they mean. Here are a few tips for preparing your dog for the new arrival. Focus on leadership. Nine months is more than enough time for you and your pet to work through most issues and smooth out any unwanted habits, and for you to establish yourself as the unwavering pack leader. If necessary, hire a professional to work with you. You will appreciate the work you put in now when you bring your newborn home to a calm, well-behaved dog. Be aware of your energy. A pregnancy affects the entire household. You may feel excited, anxious, or worried. Remember, your dog will mirror your emotions. Claim your baby’s scent. Bring an item that contains your baby’s scent, such as a burp cloth, from the hospital before bringing home the baby. During this exercise, it is crucial that you set clear boundaries. Challenge the dog to sniff from a distance, while you are holding the item. By doing so, you are communicating to your dog that the item is yours and then giving permission for the dog to sniff. “This new item belongs to me, and you will need to follow my rules when around it.” This helps start the process of creating respect for the baby. Establish boundaries around the nursery. I recommend starting with the nursery off-limits. Condition your dog to understand that there is an invisible barrier that she may not cross without your permission. Eventually, you can allow your dog to explore and sniff certain things in the room with your supervision. Then you decide when she needs to leave. Repeat this activity a few times before the baby arrives. This will let your dog know that this room belongs to its pack leader and must be respected at all times. Control the introduction. Start by taking your dog on a long walk. Be sure to drain all of your dog’s energy. Before returning, wait at the door step; make sure your dog is in a calm-submissive state before inviting her in. Upon entering, your dog will instantly know there is a new scent in the house. If you have already introduced the scent, it will be somewhat familiar. The mother or father holding the baby must be in a completely calm state. The dog should be allowed to sniff the baby, but at a respectful distance. During this first meeting, do not bring the baby too close. Eventually, the dog can be allowed to get closer and closer to the baby. By doing this, you are teaching the dog to respect the baby as another pack leader. Teach your baby. Once your child is in the exploratory state, it is important to supervise all interactions between him or her and the dog. This is a great opportunity to teach your child not to bother the dog, yank her tail, etc. These lessons on mutual respect cannot begin early enough. Too many children have inadvertently provoked an otherwise peaceful dog, simply because they were unsupervised or their parents had not given them proper instruction. Don’t forget the dog. A dog does not need toys or special attention to feel important; you simply need to maintain the routine, providing daily walks and consistent leadership. This will help your dog feel secure and allow her to relax about the new addition to the family. Forget breed. Don’t assume your dog will (or will not) pose a problem based on breed alone. Sure, babies have been bitten by Rottweilers and pit bulls, but they have also been injured by labs, chows, and mixed breeds. A baby in Rhode Island was killed by a cute little Pomeranian. What is the key? Leadership. Be honest with yourself. 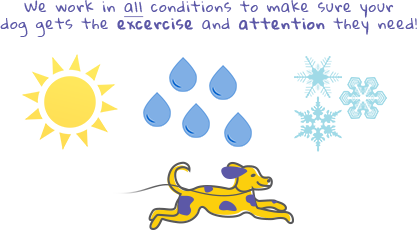 Can you control your dog at all times in all situations? Your child’s safety comes first. If, after working with a professional and on your own, you are still not 100% confident about the safety of your baby with your dog, then finding your dog another home to protect the well-being of your child and pet is a step you may have to take.